Mouse over prominent buildings to reveal their identities. 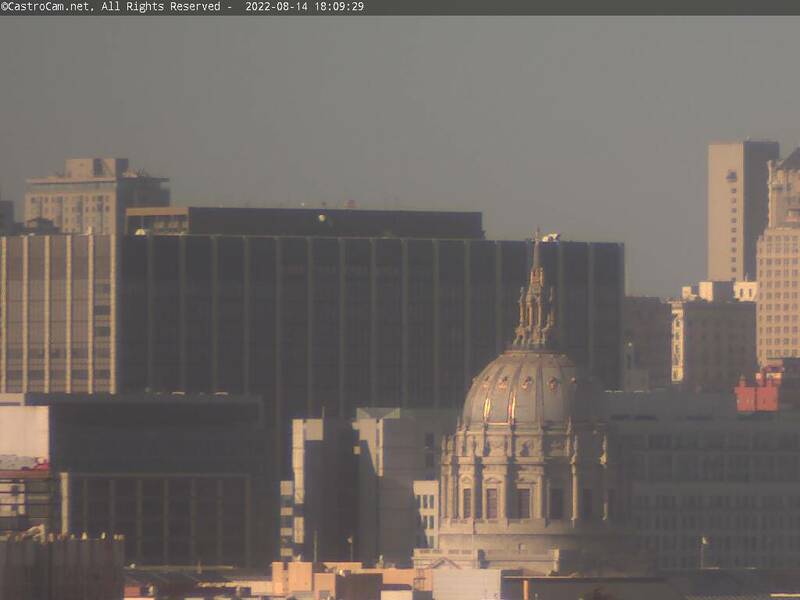 San Francisco City Hall Dome provides a Civic Center close-up in HD. 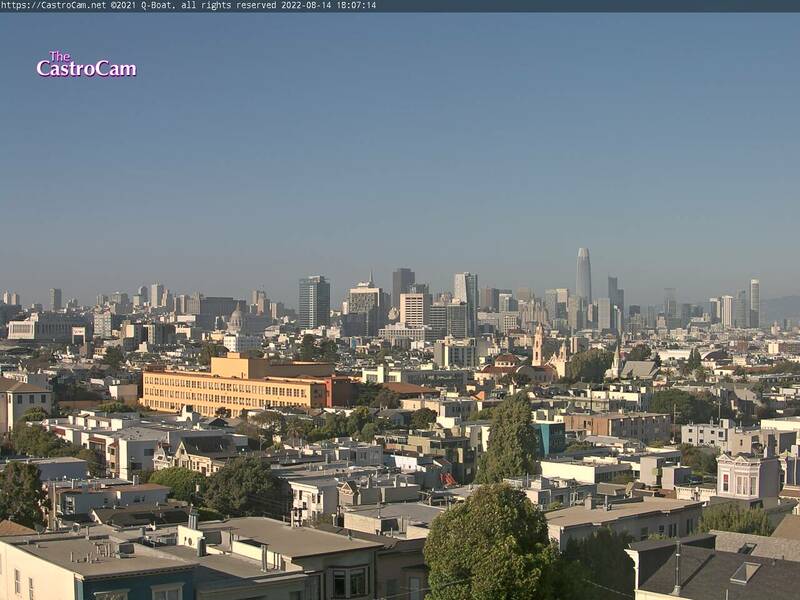 See the current ground wind conditions on the pride flag flying in Harvey Milk Plaza below!